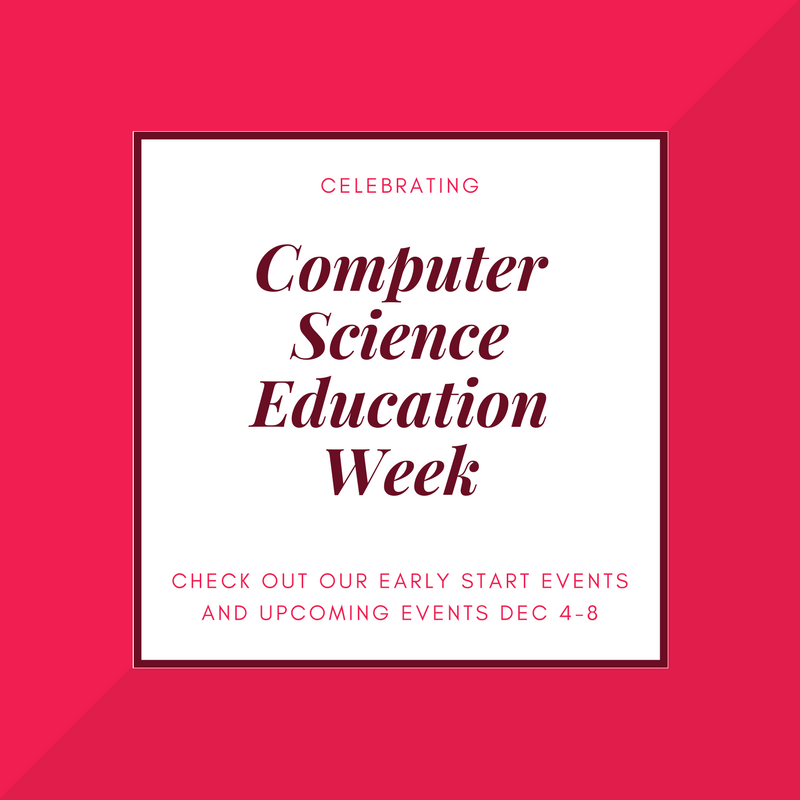 We’re so excited about Computer Science Education Week next week that we’re starting early! Check out these awesome events leading up to next week’s celebrations. Goldstein Academic Center, Room G300. 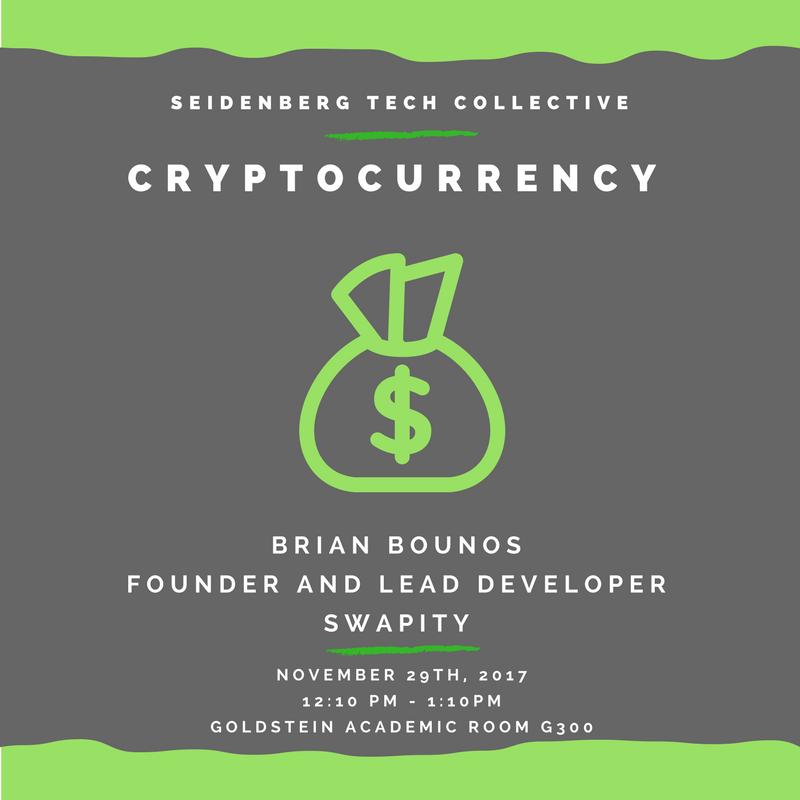 Our special guest speaker, Brian Brunos, will be speaking about his experience of successfully developing and launching a cryptocurrency exchange that does not require user accounts and pays 100% dividends through cryptocoin, Swapcoin. 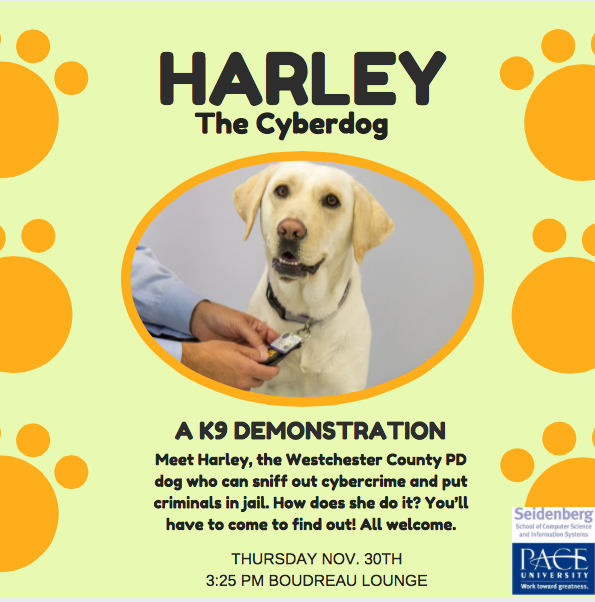 A K9 presentation of Harley the Cyber Dog, who can detect devices that may contain illegal content. This is a great event for the entire #PaceU community! No cybersecurity knowledge required, only a love of puppies. S eidenberg professor of Computer Science, Dr. Rick Kline, will give a demonstration on our new robot overlords. This campus tour is available for prospective undergraduate students interested in Computer Science and Information Systems majors. In addition to a general campus tour, visitors will have the opportunity to meet an academic representative, tour the facilities used by the program, and whenever possible, will be guided around campus by a current student majoring in the academic discipline. Returning and interested members welcome! 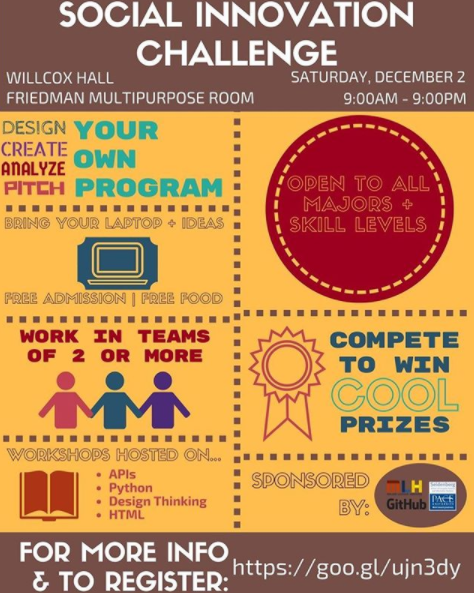 The Seidenberg Tech Collective is an organization that is committed to enriching the lives of students and promotes interest in technology. Join us for the last STC meeting of the Fall 2017 Semester! Join PCS and guests – Seidenberg advisors Stephanie Elson and Matt Brown – to talk about our Peer Mentoring Program. Open to all current and interested members. The Cybersecurity Club in NYC is hosting a series of workshops and guest speaker events throughout the Fall of 2017. All events are open to any Pace student, but must sign up for the club during the event. Students who are current members have first priority for the workshop. Metasploit Workshop Metasploit is a framework that is used to deliver exploits and payloads to victim computers. This workshop will teach students how to ethically and effectively use Metasploit for conduction penetration tests. More info and more events to come so stay tuned! Stay updated on Seidenberg events with our Calendar.